The first school holidays of the year have arrived (for most of the country anyway, with some having enjoyed their week break seven days previously) and with family’s looking for something to do, Beamish has had another busy few days with plenty of visitors taking advantage of the dry weather. 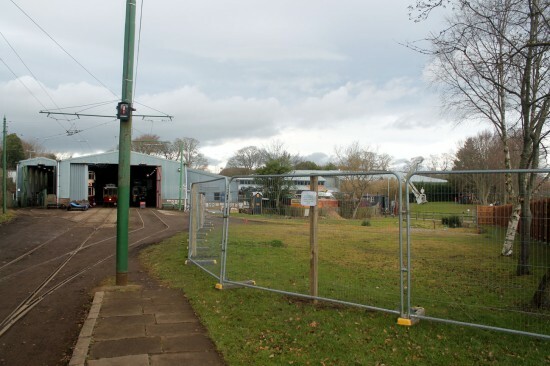 We have already seen the day that Manchester 765 returned to service but on the previous day – Wednesday 20th February – Trevor Hall found a very busy two tram service being supplemented by buses whilst work has now begun on constructing a new bus garage close to the tram depot. 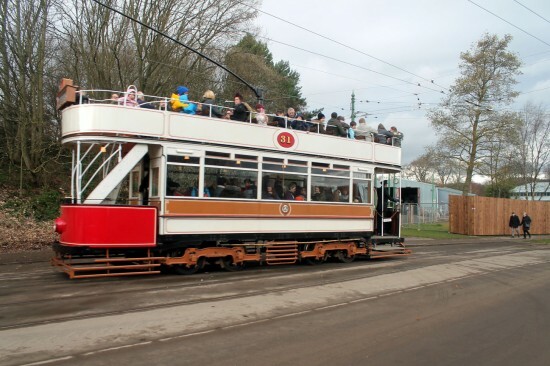 The two trams in service on this day were Blackpool 31 and Oporto 196 and with just the two in use queues – a common phenomenon at Beamish at busier times – developed at various times. With ex Rotherham Corporation Daimler CV6G/Weymann 220 KET220 in service this also proved popular in helping to mop up the crowds. 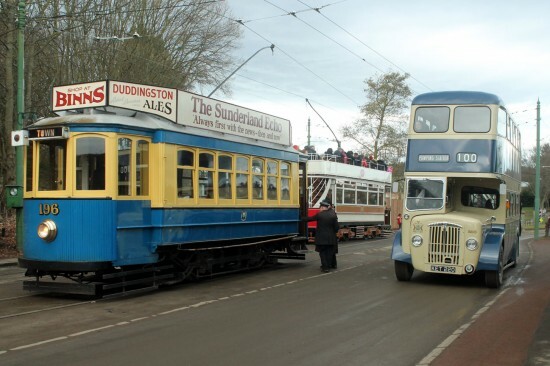 This bus dates from 1954 and will be a key component in the new 1950s town being constructed as part of the Remaking Beamish project – which will also include a trolleybus route, becoming only the fourth operation trolleybus route in the UK. 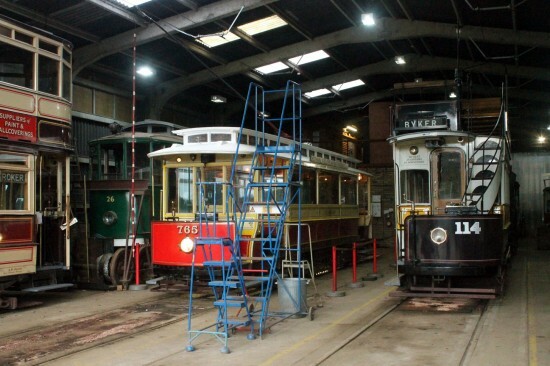 With an increased reliance on buses likely in the future a new bus garage is to be constructed on the section of grass located just by the current tram depot. This will not only have the advantage of allowing all the buses to be kept together but should also allow more space in the tram depot. Oporto 196, Blackpool 31 and Rotherham Corporation 220 at Foulbridge in a very hard to repeat picture! Manchester 765 in the depths of the depot on road 3. Grimsby & Immingham 26 is on the left lifted. 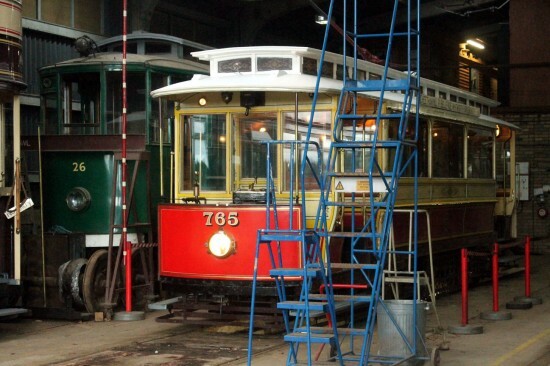 A more general view in the tram depot with 765 in the centre. Newcastle 114 is to the right with Sunderland 16 and 26 the other side. Blackpool 31 heads off round the tramway circuit from Foulbridge. The fencing in the background marks the worksite for the new bus garage.